Setting the mood is one of the more difficult tasks of a GM, and yet one of the most important to keep players engaged in your environment and story. Ambient Environments has created a wide variety of high-quality stereo MP3’s (320 Kbps), each a glorious 10 minutes in length and loopable (unless otherwise stated), to inspire you as a GM and to add atmospheric depth. Just like a soundtrack in a film can intensify a movie's tension and emotion, our soundscapes can do the same for your games. Backgrounds: Sound effects heavy. No music. Some ambient sounds. Loopable. Ambient: Ambient sounds without sound effects or very few sound effects. Loopable. Atmosphere: Sound effects heavy with a consistent mood-setting ambient texture. Loopable. Action: Action-oriented. Features a background that is usually only sound effects driven that depicts a small confrontation or engagement with weapons and violence involved. Loopable. Epic Battles: Features a background that's usually only sound effects driven that depicts a large battle taking place. Loopable. Mood Music: Music intended to add another dimension to your games and to create an immersive environment. The music can usually be played with a certain setting in mind or for inspiration or just for your enjoyment. Encounters: Limited use event-driven with sound effects and possibly ambient sounds and/or music. Created with a specific situation or set of circumstances in mind. Usually not loopable. Can enhance the use of other soundscapes. Fantasy: Designed for fantastic environments. Sci-Fi: Boldly dedicated to science fiction settings. Horror: Created for frightening circumstances. Modern: Perfect for the here and now. Western: Lassoed up with the old west in mind. There's no general category because you can use these soundscapes however you wish! These soundscapes require nothing more than a decent listening apparatus that your players can hear and any software that can play MP3s (converted to CD/DVD will work too!). For best results, a system with a wide dynamic range will deliver the best quality whereas a laptop or bluetooth speaker, although portable and convenient, might not deliver the wide range of sound effects and may have the inablity to deliver everything that's embedded in a particular soundscape. So keep this in mind when playing them. Of course, you'll be able to hear them just fine, but occasionally there are "sub" components that have been added to help round out the sound needed for a particular environment that may add some enhanced features on a larger system. The best thing to do is to listen to the soundscape with a good set of headphones first. iPod headphones work just fine. Once you've done this, then play it on your desired system, laptop, or whatever prior to making a judgement. Then you'll be able to tell what difference it makes. So, if you want to hear the soundscapes as intended and are particular and somewhat of a purist, like me, then a great sound system is advised--but not necessary in order to have fun and enjoy the effects of any particular soundscape. I'm just picky and "picky" is not for everyone. Besides, the soundscapes will only enhance a setting, but they can't run the fantastically awesome campaign that your players will enjoy and remember with upmost affection for years to come; so much, that in ten years they'll get together and reminisce about the "good 'ole times when your PC Troll, "Beorn the Vampire Killer" was beheaded by a fellow party member (ruining his nice armani suit) while under the influence of an NPC enemy vampire using Beorn as a puppet to infiltrate the party and the agency that hired them--not that that's ever happened to me or anything. That's where you come in. If you can't hear your soundscape very well, it may be the system and not the soundscape--sure, but that's not always the case. When each soundscape is launched, it's still considered in the "beta" stages and can be changed, tweaked and fine-tuned. So if you're experiencing problems with your soundscapes, please contact Ambient Environments, a.k.a. Gil Luna, or leave a review with the issue noted and I'll keep track and fix them as time allows. You'll be contacted, if you purchased the soundscape, when it's updated and will be able to download the new version for free. Happy listening! Gil has a varied background that stretches over 20 years in the world of music and film. These two areas of expertise provide the best combination for the creation of soundscapes as one compliments the other perfectly and the result is an ambient environment. Aside from these two general vocations, Gil has worked as a graphic artist, web designer, special F/X artist, film editor, singer, screenwriter, producer, director and actor. Gil is a one man show. That's why his graphics look so groovy. That's also why it takes him so long to finish them. Where's an intern when you need one? Gil is currently residing in the artist-friendly city of Portland, Oregon. Got question? 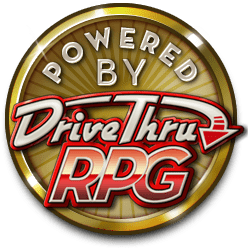 Don't be afraid to email me through Drive Thru RPG. Search for "Ambient Environments" to find more of our soundscapes and be sure to "follow us" for the latest news.